Wiggly Toes Kids Yoga teaches children how to manage stress, improve focus, gain mind/body awareness and respect for others in a healthy and playful way. We catch our "monkey minds" and bring them down to our hearts center. We do age appropriate sequences, adventures, games, and challenges. Doing the postures helps children with focus, flexibility, balance, and self esteem. We breathe in and we give love, we breathe out and we send love. We read stories and act out them out, we watch bubbles to see where they will go, we air walk to the park to swing, and sometimes we bark, meow, hiss, or ROAR...but this is why it is yoga for kids. drawn to teaching kids the gift of yoga. Paraiso Yoga in Sayulita, MX in 2016.
organizations, and after school classes. 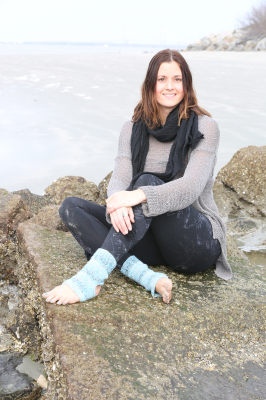 Wiggly Toes Kids Yoga teaches self love, creativity, mindful awareness, friendship, and the importance of our connection with the natural world through yoga poses, crafts, and mindfulness activities. ​the arrival of her first child in 2006. Since then, she has regularly attended yoga classes for babies, toddlers, kids and families. In 2012, Kim began teaching kid's yoga and currently volunteers in local nursery schools as well as public elementary and middle schools. ​Kim earned her Bachelors Degree from James Madison University and her Masters Degree in Social Work from Columbia University. 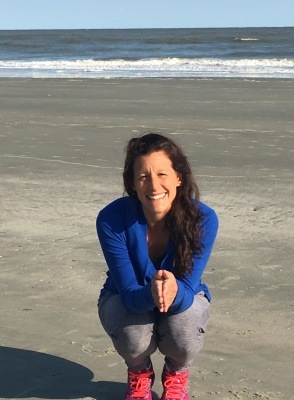 She combines her experience as a therapist for children and families with her passion for yoga to bring thoughtful movement and lots of fun to the mat.